Larry Greenly brings a diverse background to his writing life, having been a physics teacher, a civil engineer, and a doctor of chiropractic before beginning a career as a writer and editor over 25 years ago. 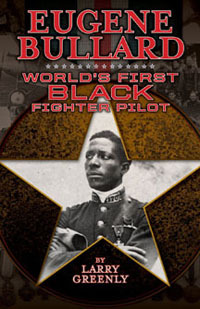 His YA narrative biography, Eugene Bullard: World’s First Black Fighter Pilot (NewSouth Books, 2013) was named a 2015 Booklist Top Ten Multicultural Nonfiction Book for Youth, won a Gold Medal in the 2014 National Moonbeam Children’s Book Awards, won Best Young Adult Book in the 2014 NM/AZ Book Awards, was a finalist in the SCBWI Southwest Region Crystal Kite Award, earned a starred review from the American Library Association (ALA), and earned a recommendation from Voices of Youth Advocates (VOYA). When not serving on the SWW board of directors or judging fiery food competitions, Larry can be found tickling the ivories at Chez Axel Restaurant in Albuquerque. Give us your elevator pitch for Eugene Bullard: World’s First Black Fighter Pilot. It’s the story of Georgia-born Eugene Bullard who fought in the Lafayette Flying Corps in WWI, but was not allowed to fly for his own country because of the color of his skin. A hero in France, he’s virtually unknown in this country. Not long afterward, the Tuskegee Airmen black fighter squadron was formed. Nicknamed the “Red Tails,” they performed heroically. And many bomber crews owe their lives to those skilled and daring pilots. Nevertheless, racial discrimination in the United States kept the squadron segregated from the rest of the Air Corps. The Red Tails were even filmed only in black and white, while other squadrons were filmed in color. The most frustrating aspect was getting agents and editors to read my manuscript or even understand the point of my book. The response I hated most was, “Never heard of him.” Did they want me to write another book about Abe Lincoln? But I believed in my book and felt it was “pearls before swine” for those kinds of people. Ultimately, I took a lesson from Eugene Bullard himself and persevered. I knew someday someone would publish my book. But I didn’t realize it would take three years to find a publisher and two more years to get the book into print. What was the most rewarding aspect of putting Eugene Bullard together? When I was writing the book, I was totally immersed and living it in my head. At the time it was like living in two universes. I gained a new appreciation of WWI and how nasty it really was. My goal of having Eugene Bullard recognized by his own country is finally being reached. I even nominated him for a U.S. postage stamp; I’m crossing my fingers as the 100th anniversary of WWI starts this summer. What are you most happy with, and what do you struggle with most, in your writing? My biggest struggle is facing a blank page and somehow writing down all the ideas and data swirling around in my head in some semblance of order. But once I have a first draft, I’m able to edit fearlessly and not fret about it. Chop, chop, chop. Looking back to the beginning of your writing career, what do you know now that you wished you’d known then? Is there anything you would have done differently? Like most writers, I always felt “I could write a better book than that.” Rather late in life, I got a chance to co-author a medical piece for a professional journal. The writing bug bit. 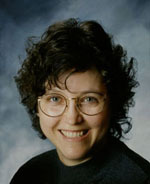 I read everything I could about the art of writing, and soon afterward I was on the editorial board of that journal. I continued writing magazine articles on myriad topics (I figured if I was interested in something, someone else would be, too). Probably the only things I would change would be to write a book sooner and pursue the overall craft of writing much earlier. How has the creativity and discipline you employ as a musician (or music itself) helped you in your writing journey? I think of writing and music as complementary opposites: left brain for writing and right brain for music, although good writing has a rhythm, just like music. After writing for a while, I take a break and tickle the ivories to recharge my mental batteries. I sincerely believe that reading music has helped me in rapidly reading and sifting through research. Piano music requires you to read and instantly interpret music for both hands, even looking at notes that are ahead. What advice do you have for discouraged writers? Join a critique group and learn to take criticism; after all, they’re readers, and writers need readers. Realize your writing isn’t sacred and not to be changed in any way; remember, you can’t see mistakes in your own writing, you’re too close. It was fine stuff to read about your writing process and your passion for writing about Eugene Bullard–bringing his story to the world. I must purchase a copy. (And get myself reinstated to SWW). And congratulations on the awards you have won. Good for you Mr. Greenly! Well done! I love discoveries like this–you did the man proud. Great interview. Good job Kathy.